The mission of the Business Transparency Committee is to build trust, transparency and accountability throughout the digital supply chain by developing and promoting the adoption of standards, protocols and technologies that recognize honest industry participants and help combat illegal activity. The work of the Business Transparency Committee is coordinated through two working groups: the Registration Working Group and Evolved Guidelines Working Group. Megan Armstrong, Vibrant Media Inc.
Nicole Kuntz, Triton Digital Inc.
Jonathan Reut, Protected Media Ltd.
Sarah Welcome, Hanley Wood Media, Inc.
TAG’s Registration Working Group has developed an industry-wide TAG Registry that gives legitimate companies a powerful tool to help steer clear of criminal activity in the digital advertising supply chain. In the future, a Payment ID System will complement the TAG Registry and allow buyers of inventory to limit payments to legitimate actors only and thus eliminate all payments to illegitimate actors and criminals. TAG will enhance the Registration Program in the coming months to include secure APIs and features to streamline the on-boarding and vetting process. 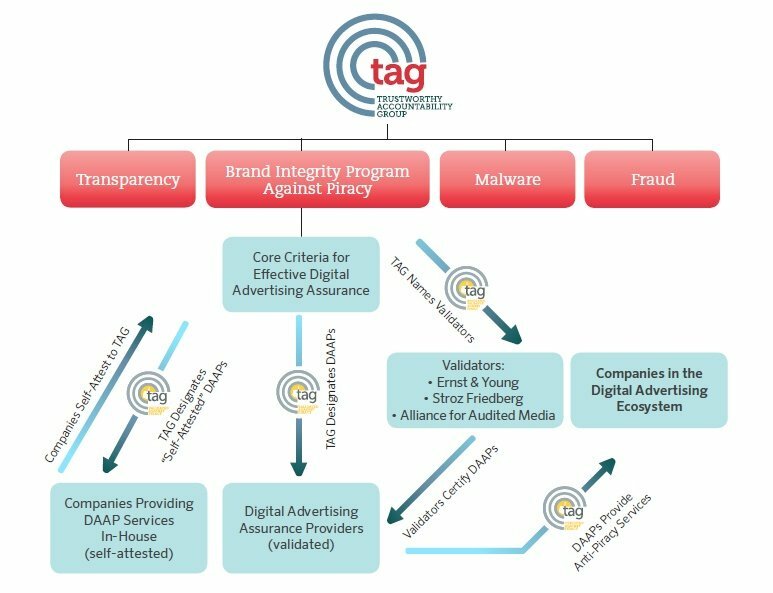 The Evolved Guidelines Working Group updates and strengthens TAG’s Inventory Quality Guidelines (IQG) program, which aims to reduce friction and foster an environment of trust in the marketplace by providing a common framework to describe and disclose the characteristics of advertising inventory. The IQG program has been expanded to include programmatic and native advertising buys. In addition, a series of disclosures that allow buyers to more transparent with sellers of ad inventory have been developed. To join TAG’s Business Transparency Committee, please review the TAG Intellectual Property Rights and Anti-Trust Policies and sign the Acknowledgment form before sending it via email info@tagtoday.net. You will receive an email confirming your participation.